We are approximately one month out from the start of Camp Rantoul and the official beginning of the 2010 football season for the Fighting Illini. There are still a lot of unanswered questions regarding the team, but none more so than the puzzle with the assistant coaches, which took another turn last week with the announcement that newly hired tight ends coach Greg Nord was going back to the University of Kentucky, thus vacating the position that he had secured last December. The departure of Nord not only creates a void in the coaching staff this close to the beginning of the season, but also means that the recruiting coordinator is now up for grabs, since Nord held that position as well. What does THAT tell you? Not sure what this means, but it cannot bode well for recruiting as the Illini embark on yet another season that is important to Coach Zook and his current staff. Since the coaching exodus last fall, recruiting has fallen off, as several key commits have changed their minds and removed Illinois from their choices. Maybe the fact that the program has had just 3 winning seasons in the last 15 years is a big reason, but the decline of the level of recruiting cannot help this situation anytime soon. You've seen the numbers depicting what the new offense and defensive coordinators will be making this coming season, and with the state of Illinois in a financial catastrophe, this certainly doesn't help matters any. Now, given the fact the Nord is gone leaves the coaching staff with an important position to fill and not a whole lot of time to do it. Most likely, Dan Disch will take over the recruiting duties in a stopgap measure until a permanent hire is secured. Since the Big Ten Conference has welcomed Nebraska starting in 2011, this puts the chances of the Illini rising in the conference at slim and none. Nebraska has been a successful program in the Big 8 and now Big 12 in the past, and the addition of the Cornhuskers will give perennial programs such as Penn State, Ohio State and Michigan another hurdle to climb when it comes to getting to the big bowl games. 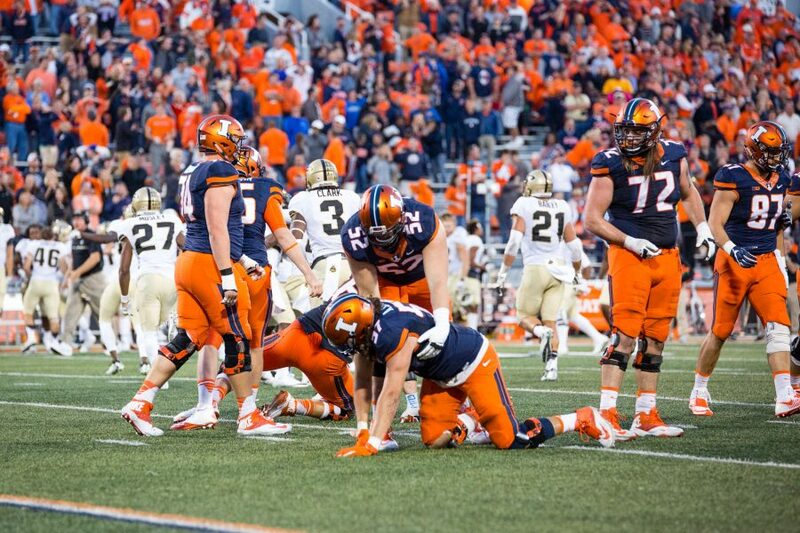 Other sports such as volleyball and men's basketball may in fact benefit the Illini, as the Nebraska program in other sports have not been nearly as successful than the football program. Still, it is a good thing for the conference, as it brings the total number to 12 (name change? ), and will more than likely begin fueling debate over conference realignment into divisions. Early talk, however, has centered more on RPI rating over the last 1o years and less on geographical placement. More on this as it becomes available. Illini Nation was once again represented well at the John Deere Classic in the Quad Cities, the closest venue for a PGA event in the state of Illinois. Four former Illini began the week in the tourney, and only one, defending champ Steve Stricker, regained his title by shooting a 4-day total of 258, good for 26 under par for the tournament. Fellow Illini alums Joe Affrunti (139), D. A. Points (139) and current Illini golf coach Mike Small (146), all missed the cut and was done for the weekend on Friday. Congrats to Strick on another PGA title! Coming in August, the first of 3 previews on the upcoming football season as Camp Rantoul approaches. Stay tuned.